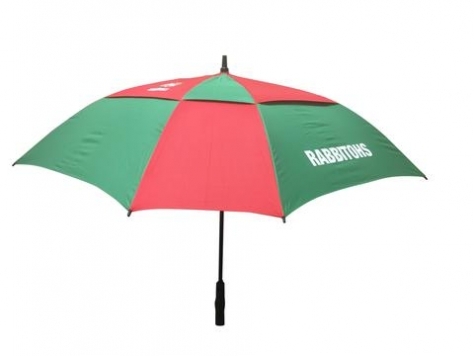 Show your team colours on or off the course with the NRL premium umbrella. The massive 62” canopy offers coverage for player and caddy and includes a dual canopy design with reversible spring for gusty conditions. Shaft is fibreglass for extra storm safety and includes auto pop-up feature for effortless opening. All finished in team colours.